Adrian, a fellow cyclopedian, taking a higher resolutioned image of the beautiful scenery. Svoge. A town like many others where we stopped to enjoy the lush scenery for a few, idling moments, just enough time to catch our breaths and then we were off, down another hill or along the side of another mountain pass. Time is so crucial when you’re on two wheels and have some place to be. You can’t meander as much as you’d like to meander, you can’t bask as much as you’d like to bask. But it gives you a postcard, a reminder of where you’d like to return to. I’d like to return to Svoge. After conquering a few days before of torrential down pour, that made it so the road and the sky were one, constant, grey, maniacal flood, it was nice to have a middle of the road weather day, not too hot, not too cloudy, not to wet. The Bulgarian country side was new to us as we headed through beautifully lush, jutting cliffs, switchbacks that seemingly played tricksters, luring you to plunge from wheel or panier first into the brown, slow moving Iskar River below. Towns like this in the Sophia province, seemed to appear out of no where around every bend, looking like small hamlets, yet a bit more sterile and grey in architecture. It was quite a surprise that the lead up to Sophia, the capital, was miniscule, off tune slide whistle, as opposed to a whole cavalcade of wind instruments, blowing, red in the face, with victory! 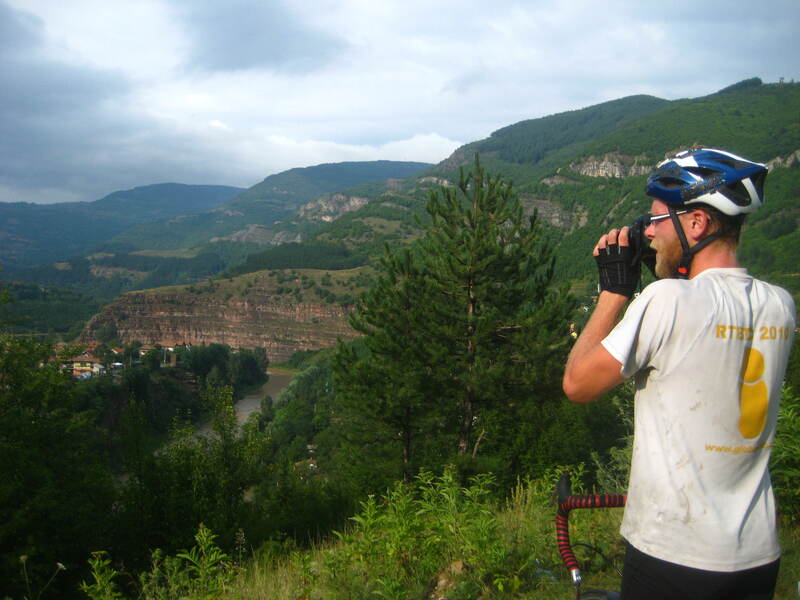 This entry was posted in Photo of the Day and tagged bike, biking, Bulgaria, communism, cycle, cycling, done, europe, excursion, forest, fun, lush, mountains, paniers, pod, river, Sophia, tour, touring, travel, trip. Bookmark the permalink.